Essential oils are the oldest and some of the most powerful therapeutic agents know to man. They span centuries of use in healing and therapy throughout the ancient world. You may recall hearing about frankincense, myrrh or patchouli. One essential oil may have several different kinds of uses depending on what you’re health concern is. I use doTerra essential oils because they are certified pure therapeutic grade (CPTG), meaning it is tested with strict quality protocol. These oils are carefully distilled and harvested so that they are more powerful than oils you would get a health store. doTerra’s oils have a wide range of uses for physical and emotional health and can be used topically, aromatically or internally. I bought the family physician kit in order to get the wholesale discount and can honestly say I have used each of the oils that are in the kit. Since I was diagnosed with asthma a few weeks ago, Breathe blend has been a huge help for me. It’s also great when allergies cause a stuffy nose. Every night, I use lavender to help me drift off to sleep. Usually when I use it, it’s like Benadryl for me-it knocks me out within ten minutes but doesn’t leave me feeling groggy. Lavender can also get the itch out of a bug bite among its many uses. Peppermint, lavender and lemon have 100 uses! I recently used frankincense on a spot on my arm that had changed shape. I scratched it and it got infected after it started to raise up. I put frankincense on it for just two days and the place on my arm completely went away. If I ever have a burn, melaleuca oil is my go-to oil. It relieves the pain of the burn within about 5 minutes. Lemon is a great detoxifier and is delicious in water. When I get stressed, I use the Balance grounding blend and quickly feel like I am myself again. While I use essential oils on a daily basis and know how well they work, if I were actually sick I would not forego medicine for oils. I think the two easily go hand in hand. If I have a headache, start to get a stuffy nose or feel nauseated, I immediately turn to essential oils first. 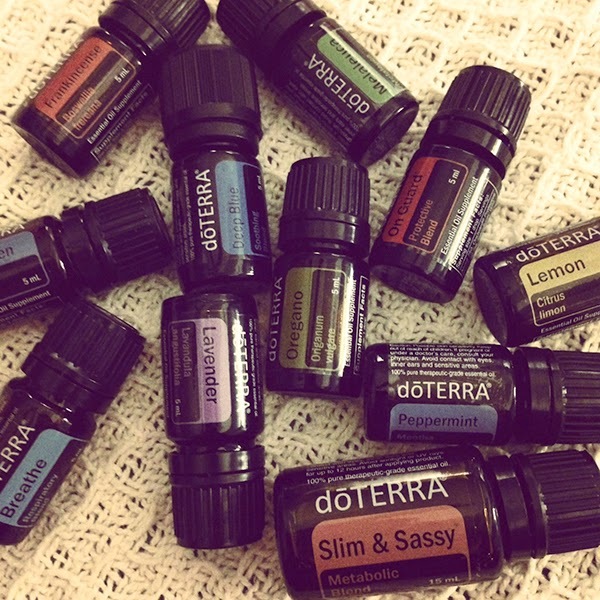 If something were more severe, like strep throat or the flu, I use oils to help with the medicine. Since medicine affects me differently from most people, I turned to oils to help. The best resource I have found to help me understand how to use oils for specific health concerns is Everyday Essentials. You can learn more in depth about each oil and oil blend as well as what to use for whatever ails you. I would encourage you to research or talk one on one with someone who uses oils in their daily life before jumping in!